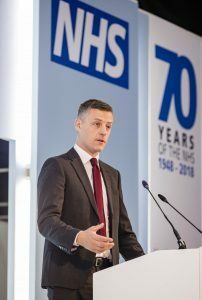 In the 70th year of the NHS, Expo 2018 included all the latest updates on mental health, cancer treatments, digital innovations and diabetes, as well as focus on reform of national leadership and local working practices as the NHS develops its shared Long Term Plan. 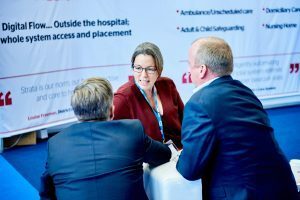 Last year’s Expo welcomed almost 5,000 people, with more than 200 hours of speeches, presentations and activities across our two main stages, four theatre rooms, pop-up university workshops and in our exhibition zones on the conference floor. This year’s Expo also focused on the long term plan for the NHS, which will set out the ambitions for improvement over the next decade. 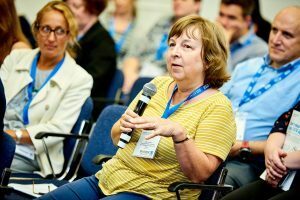 Delegates heard how it will include three key areas covering life stage programmes, clinical priorities and enablers of improvement. They were also able to hear the latest developments and record their views in a series of Theatre seminars and Pop-up university workshops, and on our Have Your Say Wall. Emily Ahmed, Patient and Public Involvement Lead at UCL Partners – an academic health science partnership – spoke about how personalising maternity care and providing more choice can increase safety and improve outcomes for women and their babies. Dr Nikita Kanani MBE, interim Director of Primary Care at NHS England, discussed how primary care networks are enabling improvements. They are helping GPs and social care to work closer and place patients at the centre of their care, as well as providing better access to more services for people in their local services. The long term plan is still being developed and it is vital all those who rely on, work in, or alongside the NHS, contribute their ideas and insights to it. To make it easy for people to have their say, a discussion guide has been published. An easy read version of this guide is also available. 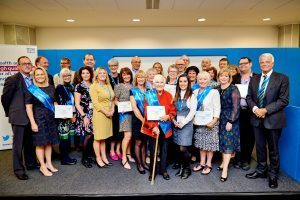 A nurse who started training in 1948 is among the inspirational people, and teams, receiving special recognition for their dedicated services to the NHS. This year’s Kate Granger Compassionate Care Awards were given to individuals, teams and organisations who demonstrated outstanding care for their patients. The award winners, together with the special 70th birthday dedications, were handed out by Chris Pointon, the husband of the late Dr Kate Granger; the chairman of NHS England, Professor Sir Malcolm Grant; Simon Stevens, NHS England’s Chief Executive and Professor Jane Cummings, Chief Nursing Officer for England. Winners were selected from more than 100 entrants across four award categories by a judging panel that included Chris Pointon and Professor Cummings. A full list of the winners is available on NHS England’s website. 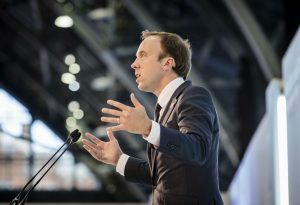 Matt Hancock, Health and Social Care Secretary, announced that a further £200 million will be distributed to the most advanced digital trusts, who will become part of the global-digital exemplar programme. 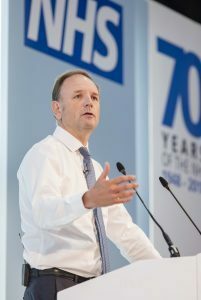 He said: “Now is the moment to put the failures of the past behind us, and set our sights on the NHS being the most cutting edge system in the world for the use of technology.” The Health and Social Care Secretary also announced that a further five pilots of the national NHS app for patients have been chosen and the pilots will begin by the end of September, ahead of a national roll out in December. The app allows patients to book GP appointments, share data preferences and access NHS 111 and the new sites will include Liverpool, Hastings, Bristol, Staffordshire and South Worcestershire. 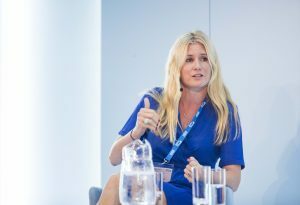 Juliet Bauer, Chief Digital Officer for NHS England, announced the launch of the third version of the Empower the Person roadmap. This outlines how, and when, the NHS is developing digital tools and services. She also described how the NHS website, formerly known as NHS Choices, has been improved as it now has 95 new medicines pages, improved mental health, type 1 diabetes and social care content. It is more accessible, and works better on mobile devices than ever before. The NHS has made great strides in supporting and enabling people to use digital health tools too. Free NHS WiFi is now in 79% of GP practices, serving a population of 46.5 million. 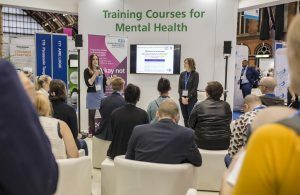 Free suicide prevention training was on offer on the Mental Health Zone, as experts from Merseyside Care NHS Foundation Trust where on hand to share techniques on how to speak about one of the hardest subjects. The online teaches some basic skills in how to approach the subject with someone who is distressed or is showing signs they may be struggling with their mental health and could be at risk of wishing to harm themselves. The training is also available on Zero Suicide Alliance’s website. 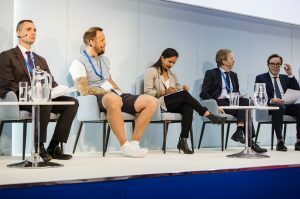 The HealthTech Zone showcased how digital innovations in health and care are helping patients and the public to live healthier lives, and support the work of frontline staff. The zone, which was sponsored by Teva UK Limited, featured more than 80 speakers across its stages. These covered the latest examples of technological revolutions in the NHS from how patients and the public are being empowered to manage their own health and care through health apps and other digital technology, how online consultations are transforming general practice, the revolutionary role 3D printing is playing in surgery, how virtual reality is improving prosthetic limb rehabilitation, and the latest in cyber security. Two interactive digital screens also showcased topics including the NHS app, Local Health and Care Records (LHCREs), electronic prescribing (EPS), the NHS app library, nhs.uk, and case studies from our Global Digital Exemplars; to name a few.